Coming in as an intern this summer at PEM, I was impressed with the museum’s vast collections and archives, but excited about its dedication to facilitate progressive and innovative thinking. After all, preserving the past and learning from it informs future thought, and PEM wonderfully balances these two responsibilities. PEM’s commitment to promoting innovative thought and problem solving to improve the state of our world is exemplified in the current exhibition Wild Designs. 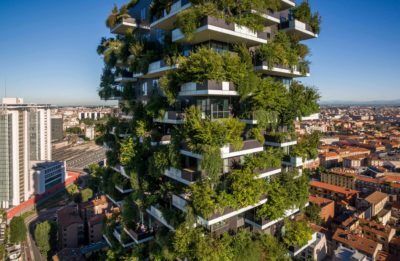 This show explores how artists, designers, architects and scientists alike are looking to the natural world as a source of inspiration for innovation and sustainable solutions to society’s challenges. 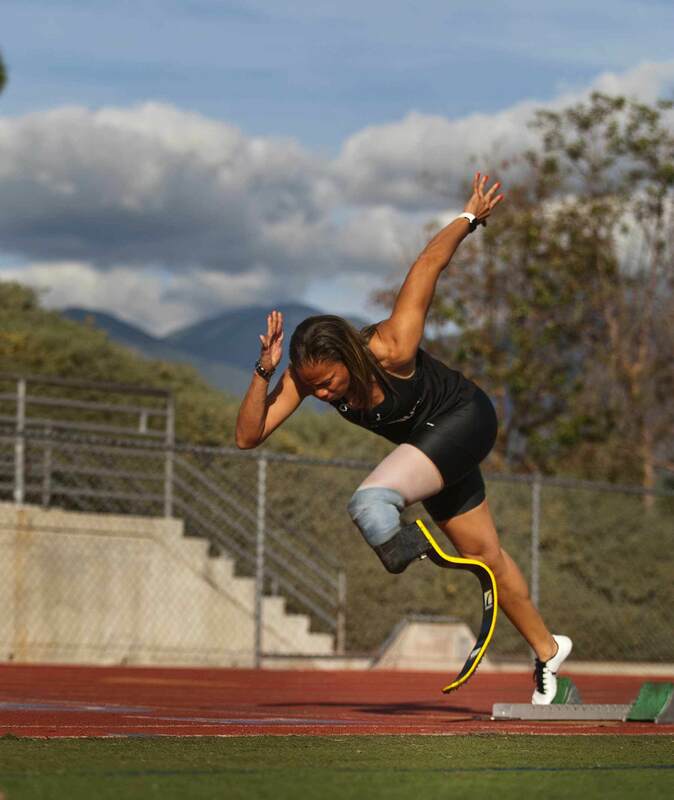 Össur, Iceland, April Holmes wearing a Cheetah® XtremeT™ prosthesis. Courtesy of Össur. 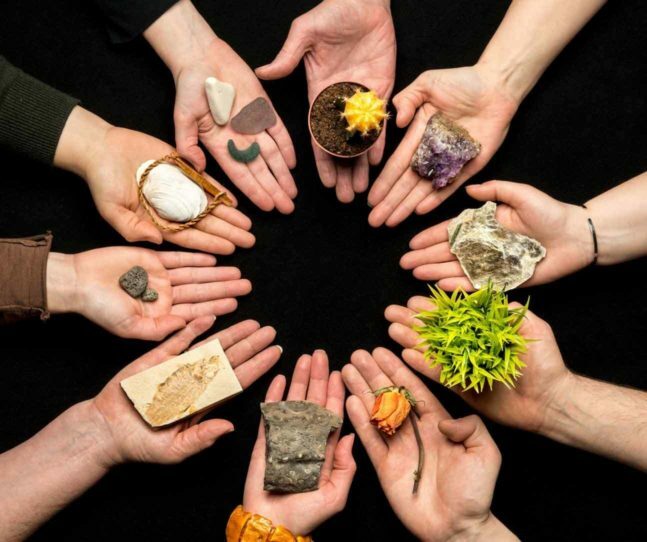 As a student of entrepreneurial design with an interest in sustainability, I jumped at the opportunity to delve into the contents of Wild Designs and speak with the curator, Janey Winchell, PEM’s Sarah Fraser Robbins Director of the the Art & Nature Center. Sitting across from me in the bustling Atrium of the museum, Winchell gladly answered my questions and passionately spoke of the potential of bio-inspired and bio-mimetic designs and solutions. 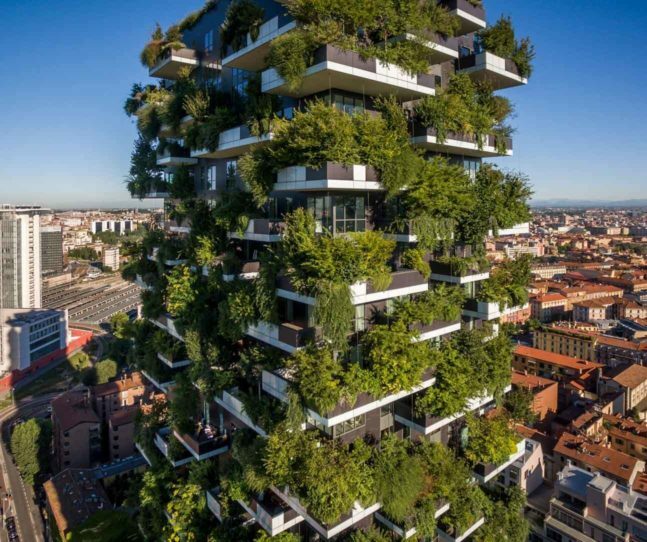 Stefano Boeri Architects, Italy, Bosco Verticale (Vertical Forest), Milan, Italy, 2009–2014. Courtesy of Stefano Boeri Architetti. We are surrounded by nature’s wisdom and genius,” she explained. 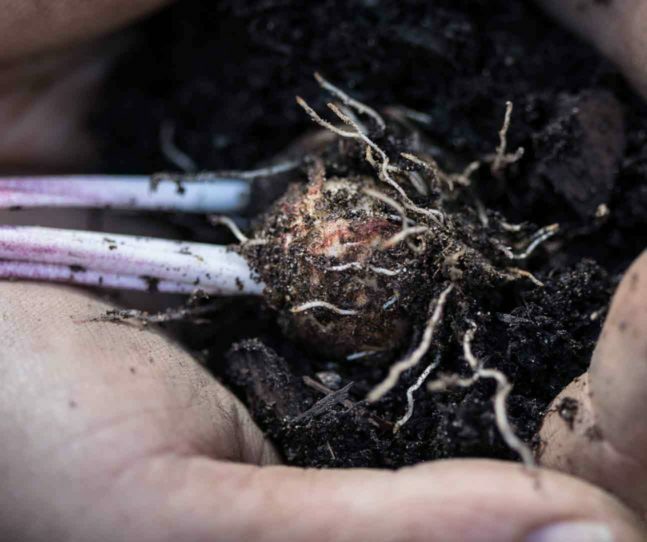 “With over 3.8 billion years of developing, testing, and iterating on patterns and strategies, there is a lot that we can learn from nature about what works. Winchell expressed the importance of observing and absorbing nature’s functions, systems and patterns and of being question-oriented rather than always searching for solutions. She articulated that nature is “an incredible repository of ideas,” which represents a tremendously exciting and rich opportunity for sustainable and surprising solutions. Genetic Architectures Research Group, Spain, Genetic Barcelona Project (Phases 1–3), 2003–14. 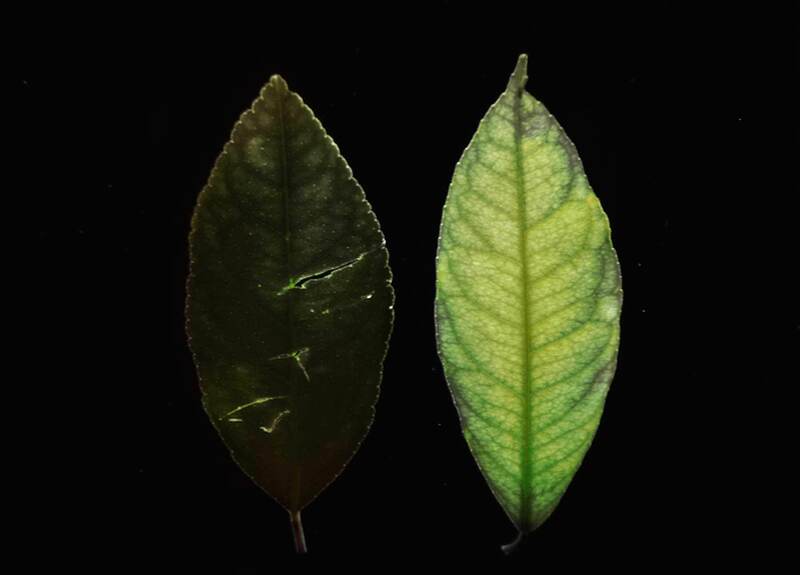 UV photograph of a natural lemon tree leaf next to one with a bioluminescent gene from a jellyfish. Courtesy of Genetic Architectures Research Group. 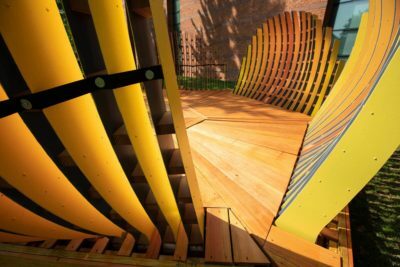 Examples of such solutions fill the exhibition in PEM’s Dotty Brown Art & Nature Center, whether they are complete designs, prototypes or concepts with compelling potential. For instance, I found it groundbreaking to see a water bottle that can fill itself up by collecting moisture from thin air. The Dew Bank Bottle is designed to mimic the shape of a Namib desert beetle, which condenses fog’s water droplets on its back, gathering the morning dew for drinking water. If left outside overnight, the bottle is expected to harvest a full glass of water in dry climates, pointing to major advances in water scarcity alleviation. 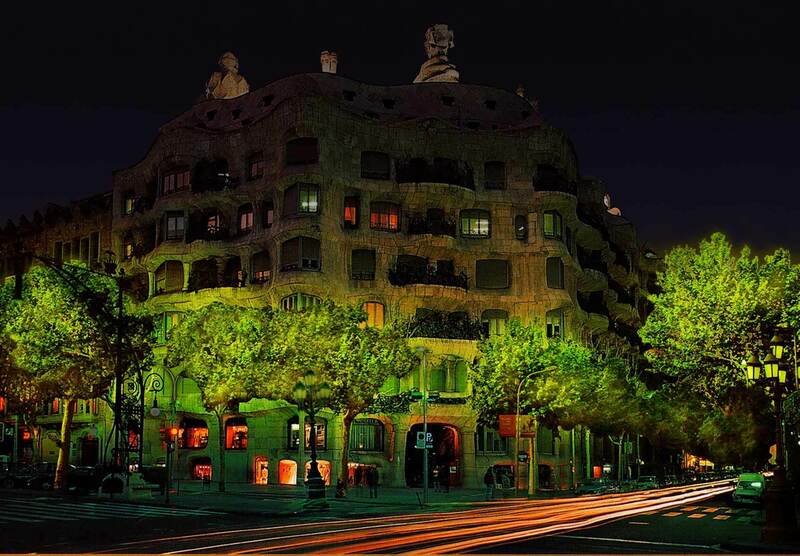 I was most struck by the scale and implications of the Genetic Barcelona Project, which proposes to replace traditional electric lighting in cities with glow-in-the-dark leaves. The project’s design team has discovered a way to harvest a bioluminescent protein found in jellyfish, adding them to urban tree species to create light-emitting greenery. Such discoveries suggest profound advances in the environmental, social, and economic wellbeing of our future. Genetic Architectures Research Group, Spain, Genetic Barcelona Project (Phases 1–3), 2003–14. Urban scene with bioluminescent trees added. Courtesy of Genetic Architectures Research Group. 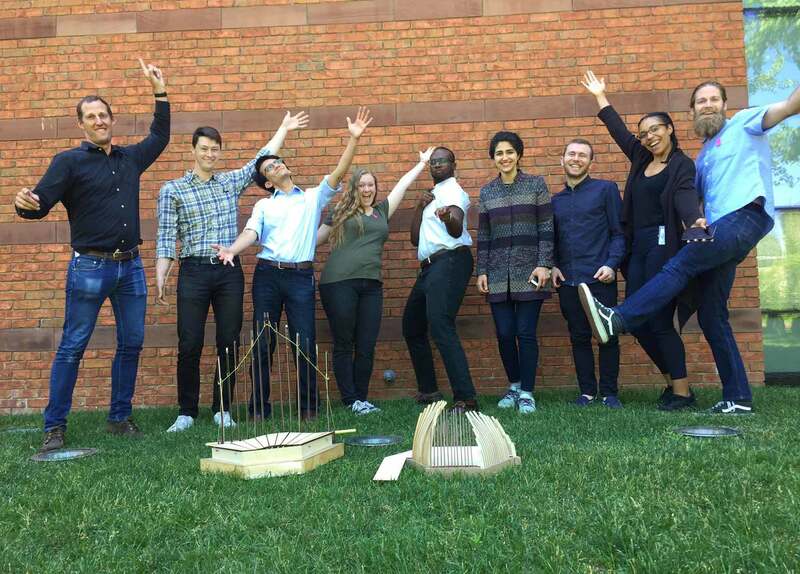 In the spirit of inspiring creative solutions and engaging public action, Winchell invited Sam Batchelor of Boston’s designLAB Architects and his graduate students from Mass College of Art and Design to design and assemble a bio-inspired piece of their own. 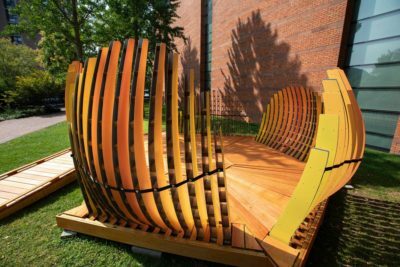 As an adjunct piece to Wild Designs, their creation stands outdoors on the museum’s Axelrod Walkway. During a break from their work, the students informed me that Winchell had given them a set of guidelines to follow for this project: it must be outside, it must be accessible and suitable for all ages and it must provide the public with a physical experience which relates to that of a bioinspired design. The resulting bioinspired communal pavilion encourages us to pause and appreciate nature. It fittingly is named COPA, an abbreviation of communal pavilion. The structure is modeled after a flower and exhibits the spiral design seen in everything from nautilus shells to sunflowers. Its progressively taller slatted “petals” create a colorful semi-enclosure. While you’re exploring COPA’s special features, don’t forget to take in the surrounding nature—just imagine how many of its untold secrets may lead to new ideas and inventions. Perhaps COPA will invite the public to realize that we all operate more similarly to nature’s systems than we may think. Realigning our systems to be more harmonious with nature will benefit humans and the environment alike. However, the most effective way to implement this type of change at a significant level is to cooperate as a unit. Visit COPA as part of PEM’s Wild Designs exhibition on view through August 4, 2019. 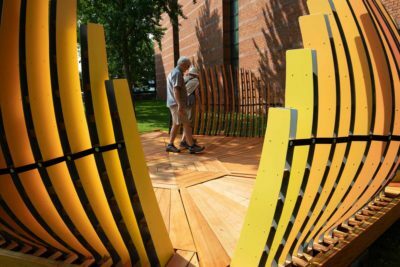 The installation is conveniently located on the Axelrod Walkway beside the museum. Step inside COPA with friends, family, or meet someone new during your visit. #COPApavilion #PEMwild.